BROWNSBURG, Ind. 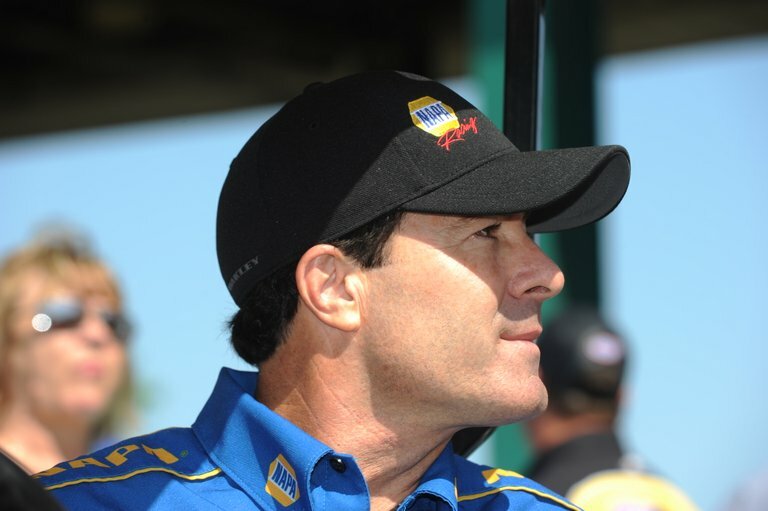 (June 11, 2013) – Ron Capps and the NAPA Funny Car team are heading to Bristol Dragway where they won the Funny Car title a year ago. It’s the ideal time for the Don Schumacher Racing team to return to where it has a proven and winning track record. It might not be a critical time for Capps and crew chief Rahn Tobler, but it is an important time for the team after losing in the first round at the last NHRA Mello Yello Drag Racing Series event. That marked the third time in the past six events when Capps didn’t make it past the opening round. But Capps, who owns 39 NHRA event titles, has never wavered in his belief in his NAPA AUTO PARTS team, especially Tobler and assistant John Collins. The team has encountered several mysterious gremlins that have slowed the team after it was runner-up at the season opener and followed that by winning the title at the next race near Phoenix. Capps was first in points after the third NHRA Mello Yello Drag Racing Series event before a variety of unpredictable maladies hit their Dodge Charger R/T Funny Car and dropped to him to No. 4. After a disappointing No. 11 qualifying position two weeks ago at the NHRA Summernationals at Englishtown, N.J., the team found what had been causing problems. Despite producing the fourth best run of the first round at Englishtown, Capps lost to what ended up being the quickest run on that Sunday. “We’re in the process of getting our NAPA Dodge back on track to where we were toward the end of last year,” he said of when he won three of the last eight events to come within two points of the world championship. Capps heads to Bristol Dragway, which is part of Bruton Smith’s Speedway Motorsports Inc. empire of NHRA and NASCAR racetracks. It’s a track where Capps has won Funny Car titles in 2001, 2006 and last year. “Bristol is always a good weekend. We look forward to going there, it’s one of Bruton Smith’s facilities and one of the best we go to. “It’s one of the tracks where you can guarantee the track will be prepped and ready for NHRA when we get there, and that makes the crew chiefs happy. Bristol is circled every year because we love going there. Want to hear Ron’s answers to fans’ questions? Check out this new video “Five Questions with Ron Capps” on the Bristol Dragway website.